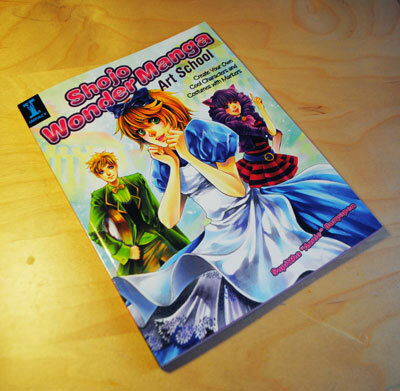 Karmada Arts: Book Review: "Shojo Wonder Manga"
Book Review: "Shojo Wonder Manga"
This week we’re reviewing the How to Draw book Shojo Wonder Manga Art School. 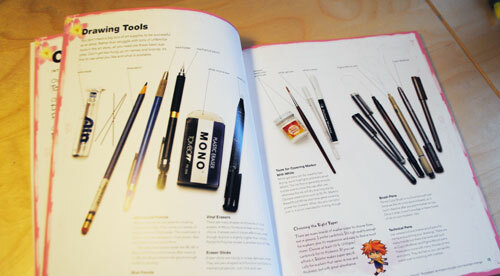 This is a book that seems to be part a whole new publisher of how to draw books: Impact Books. I've only recently started seeing their books on the shelves in the stores (namely because I saw names OTHER than like Chris Hart, Marvel, and a few other standards I've seen forever. I can usually quickly gauge if a book will be useful to me upon a quick flip through, and reading a few pages, and this one really stood out to me. I’ll admit, it’s colorful and pretty and just lovely to look at. It felt a lot different looking than a lot of typical “Draw Manga” books. This book is what I’d consider an “advanced” book. By this I mean a lot of the advice provided in this book assumes you already have a relatively decent knowledge on how to draw pictures as well as how to shade with your media of choice. The introductory paragraph will say it’s for all levels, but the amount of time spent on “how to draw” things is very minimal at least. It gives a few ideas on how to sketch things like heads, or bodies, and some recommended poses, but doesn't go into further details other than “try out a bunch of styles”. Great for the advanced artist, not so much for your very beginners. What? Easy to find supplies?! NEVER. The author takes the time and in the beginning of the book provides images and descriptions on the types of supplies that she uses. It’s really clear that this is not a “buy everything that is [insert brand name here]” like other how to draw books I've looked at do. She lays out the common items that she uses, with a corresponding photograph so if all else fails you can go into your local art store and go “I NEED THESE” and point to the picture. They are commonly found items, so no special ordering is really needed. I love how in each image that she colors, she will show you step by step how each layer goes onto the picture. It’ll always start with the outline, and she’ll describe what colors she used on what layer and recommendations she has. Reading through each one enough, and even trying out the colors on your own, you’ll start to get a feel for good color combos. 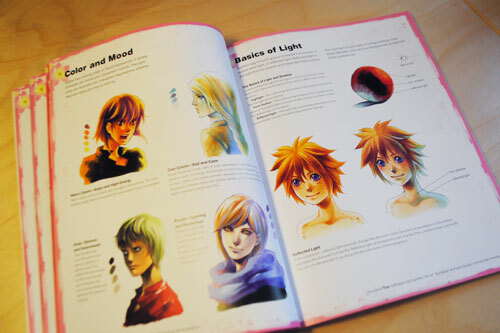 But most importantly, the best feature of the entire book is at the start of each example picture she colors in, there is a big tan box that lists off ALL the supplies she used to make the image. It lists markers by color code and name, type of paper, pens, etc. Where there is a lot that I did like, there are a couple of things I didn't like. The first being the assumption of color theory. 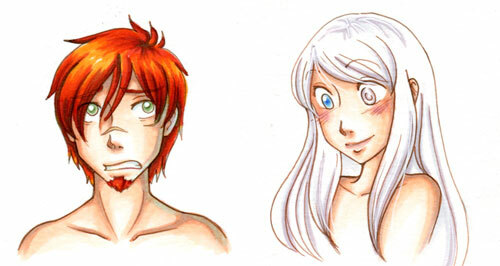 I am terrible at matching up colors, let alone figuring out what markers react well with each other. The author only briefly mentions using warm tones, or cool tones, and assuming that the reader knows the 6 areas to shading and what reflective lighting is. We spent weeks learning how to shade in black and white. Color was a whole other class. A common how to draw book error: 3 steps to draw an advanced image. Good luck with other variations! After having read through the book a few times, I feel like it was given an improper title. 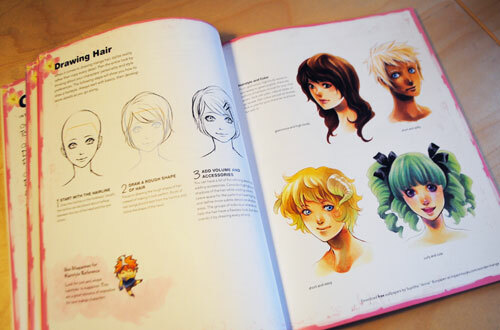 This is in no way a “complete course on drawing shojo characters”. I don’t think that the book even goes into “what is a shojo character” or relating it at all to actual manga/comics. I’m probably gonna place the blame on this on the publishing company rather than the artist, as beginner books would probably sell a lot better than “for advanced students only”. Frustrating, but most likely true. Last but not least, and really this is just a superficial thing – the whole book is coated in pink. For being a fabulous resource for coloring in pictures… no guy will want to pick this up (well, except those who are really confident in themselves and probably don’t care anyway). I had wished it had some more neutral tones, because the knowledge is so amazing for any artist, regardless of gender. How to color with Copic markers effectively. That’s pretty much the best information you can garner from this book. If you are interested in coloring with good art markers (or learning how to do it better), this book is for you. Personally, I really enjoy this book. Having spent a long time refining my own drawing styles, being introduced to this new way of coloring and outlining has really made my own techniques grow. The artist is a fabulous marker colorist, and it shows in the love and care she puts into each picture. Highly recommended for anyone who wants to push their coloring to the next level.